I wrote this series a while back. It was a profound experience along my journey to a place called healed. I pray it blesses you in your season of change. Since I was a child, I have been intrigued by the butterfly. So delicate, beautiful, and fluttering along to their own song on the wind. My children and I love to watch them come and go each year. The kids are assuredly hunting down the caterpillars, and then chasing the butterflies, from flower to flower. 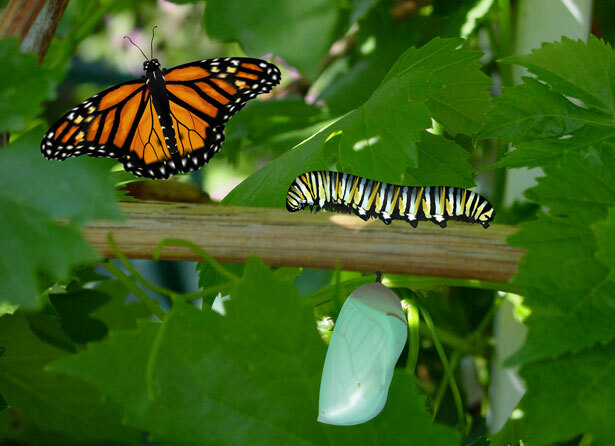 Their life cycle is even more interesting, and the butterflysite.com has so graciously allowed us to share their article on it here. Each year the preschools, my children have attended, get live butterfly kits and teach the children about the changes a caterpillar goes through to become a butterfly. When they are released it is so thrilling to watch. As I meditated on change and the butterfly, I thought, I never heard screaming from a chrysalis. It was a profound thought to me, so I decided to devote my posts for the next so many days to changes in our lives as they relate to the life cycle of the butterfly. How about you join me. Have you ever heard screaming from a chrysalis?